Daniel Farrands has a special place in my heart. His 2010 documentary Never Sleep Again: The Elm Street Legacy is one my favorite films about the making of a film. Yes, I put NSA up there with Man from La Mancha and Hearts of Darkness. NSA clocked in at 240 minutes and somehow made Nightmare on Elm St part two not only interesting but the most compelling film in the series, that by the way was no small feat. I have gone back and watched part two with new eyes. Could Daniel Farrands do this again with the Friday the 13th series? I’m happy to report that he has. I’ve always preferred the Nightmare films to the Friday films but I can say without any trepidation this is a very well made documentary that leaves very few if any stones unturned. 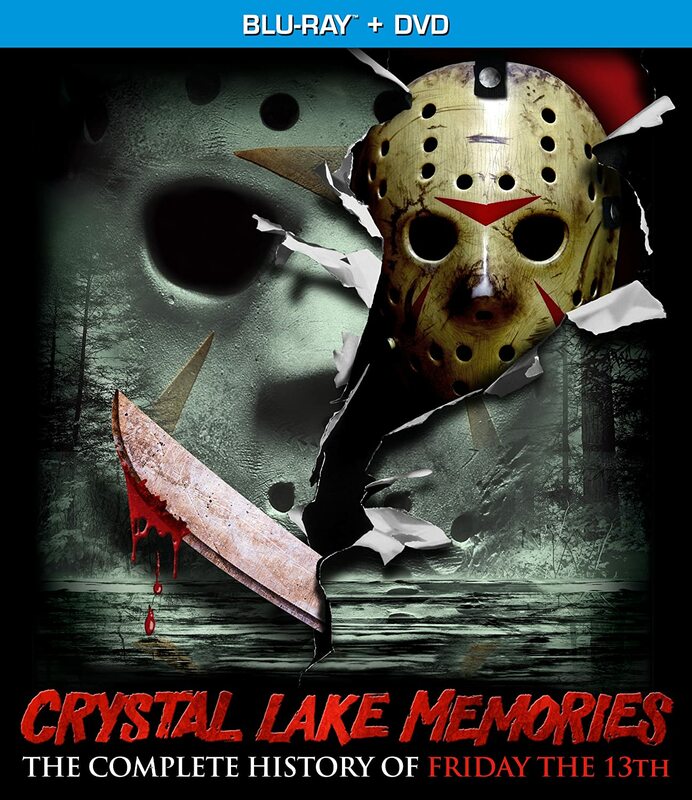 To say that Crystal Lake Memories is comprehensive would be underselling the film. CLM clocks in at 400 minutes or 6.66 hours. Get it? This is probably the most complete look at this film series we will ever have. Corey Feldman does a fine job with his role as narrator. I was worried that he might be a little too… well, Corey Feldman to narrate a seven hour documentary but he only winks at the camera a handful of times. The film plays out almost like a television series with each 40 minute episode focusing on the making of a different film. This approach might be a bit exhaustive for some when dealing with 13 films and a television series but I found it a rewarding experience. Each film is given more or less equal screen time and allowed to tell its making of story. I had almost forgotten about the Friday the 13th television series. The 40 minutes or so that CLM spends on the making of the Friday the 13th series was flat out riveting. I honestly could have watched a feature length documentary about the making of that forgettable show. A word of caution, don’t go back and watch the series after seeing this documentary. Time has not been kind to it and some things should remain in the past. Sure it’s great to hear people talk about what they were trying to do and how it went wrong but to actually see what they made is another story all together. In both NSA and CLM my least favorite entries in the series had my favorite stories about the making of them. I hope Daniel Farrands continues to make these documentaries. The next series of films I’d like to see him cover would be the Halloween franchise. I can assume the story behind Halloween 3 Season of the Witch would be amazing. Why would you make a Halloween movie without Michael Myers? That is a story I would like to know. I’m sure I could find the answer to that question if I did a little research but I’ll hold out for Holiday in Haddonfield.